Microbial cells have been widely used in the industry to obtain various biochemical products, and evolutionary engineering is a common method in biological research to improve their traits, such as high environmental tolerance and improvement of product yield. 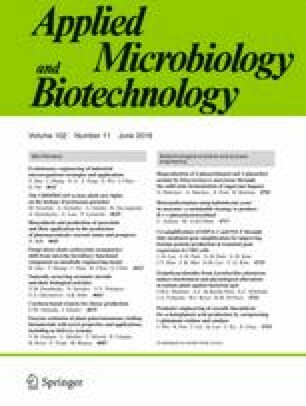 To obtain better integrate functions of microbial cells, evolutionary engineering combined with other biotechnologies have attracted more attention in recent years. Classical laboratory evolution has been proven effective to letting more beneficial mutations occur in different genes but also has some inherent limitations such as a long evolutionary period and uncontrolled mutation frequencies. However, recent studies showed that some new strategies may gradually overcome these limitations. In this review, we summarize the evolutionary strategies commonly used in industrial microorganisms and discuss the combination of evolutionary engineering with other biotechnologies such as systems biology and inverse metabolic engineering. Finally, we prospect the importance and application prospect of evolutionary engineering as a powerful tool especially in optimization of industrial microbial cell factories. This work was supported by the National Natural Science Foundation of China (31470160), the project of Integration of Industry, Education and Research of Jiangsu Province, China (BY2016022-39), the grant from Pioneer Innovative Research Team of Dezhou, Program for Changjiang Scholars and Innovative Research Team in University (No. IRT_15R26), the Program of Introducing Talents of Discipline to Universities (No. 111-2-06), and the Open Project of Key Laboratory of Industrial Biotechnology, Ministry of Education, Jiangnan University(KLIB-KF201706).